Are you looking for some budget savvy solutions for your upcoming nuptials? At the end of the day, your guests love an opportunity to get together to celebrate you as a couple, they get to eat, drink & be merry! But all the extras can add up! So how can you keep it simple without breaking the bank? Here’s some tips for a Brisbane budget wedding! At Northshore Harbour we work off minimum spends, rather than charging you a venue fee. 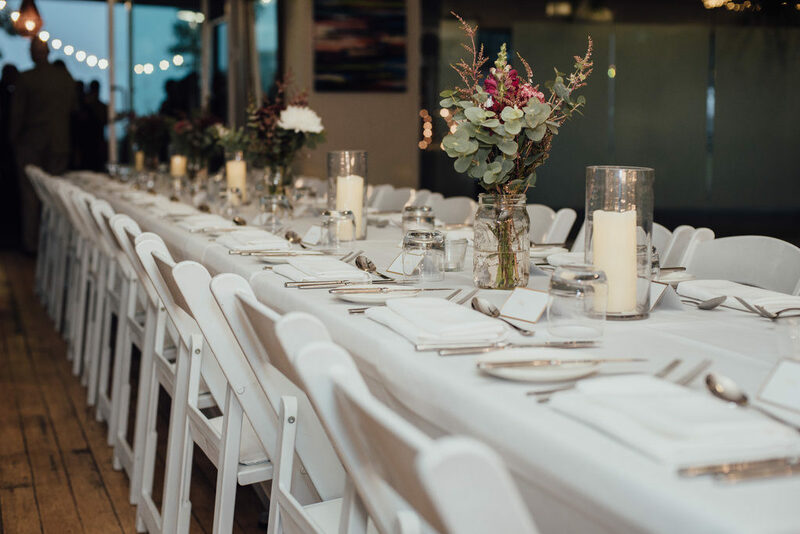 Venue hire can easily be thousands of dollars, and if you go to a “bare” venue, you could even have to hire in your own tables and chairs! This can quickly effect your budget! We know, humans aren’t always the best asking for help! But there are so many people out there ready and willing to help you achieve your big day! Maybe you’ve got an uncle who has a beautiful car that will take you to your ceremony? A friend who wouldn’t mind dropping off favours? A family friend you can get mates rates for hair & makeup? Don’t be afraid to ask, the worst they can say is no? There’s a great site called Still White where you can buy a “second chance dress”. There are dresses that were bought and never worn & dresses that already know how to have a great time! You can save A LOT on your dress and even get a designer that you always thought would be out of your budget! I mean really, when was the last time you bought a $3,000 dress that you thought was ok to only wear once anyway! Or, want your new dress, but want to make some money back? List your dress on Still White! If you’re going to be paying for your bridal parties outfits, keep it simple! Have 1 or 2 people standing next to you instead of 6! Even hair and makeup will add up if you’re getting them professionally done. According to Easy Weddings the average cost of a wedding cake in Queensland is $465. Instead of cake, why not opt for something like a Donut Wall? 60 Krispy Kreme donuts will cost you approximately $140. You could even get a handy-man or handy-gal in your life to create you a “donut wall” for less than $50! Unleash your inner bargain hunter! Search your way through facebook marketplace, gumtree, op shops and even K-Mart to find bargains for your big day! Need a wishing well? You’ll find one on FB. Want a cute sign for your hashtag? Kmart have a neon one! There’s plenty of people who have had weddings before you and now want to pass on the things they used! Don’t stress about your invitations! I know you don’t want to hear it, but of the hundred odd invitations you send out, only a handful of people will actually keep it past the day! Keep it simple, download a black and white template from etsy for $20 and get them printed from vistaprint when they’re having a sale! Put a link on there to RSVP on your (free) wedding website. This will help you save time as well as money! Plus, you can keep all information in one place so they know how to get there and what’s going down! Work out what’s important to you! There’s so much you and your guests won’t remember in years to come. The favours, what flowers were on the guests tables, the fact that you had dessert AND cake, what kind of beer and wine was at the wedding and so much more! So work out what is important to you as a couple and go from there! Don’t feel you need to have all the “extras” for it to be a special day, whether its at the venue of your dreams or in your backyard, you’re going to have an amazing day. Still looking for a venue? We’d love to help! Just click here to download out packages!